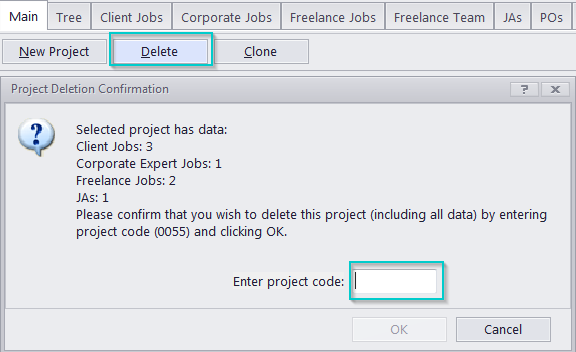 How to delete projects without clean database installation (we have already added real clients)? In Projetex 3D, projects can be deleted along with all the client and expert jobs included in them. This can be done either from the general project list of from the Projects tab of a specific client. Note: you will need to confirm your intention to delete the project by typing its number in the corresponding field.